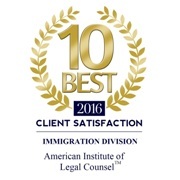 Located in LA, California, the Law Offices of Todd Becraft have been rated among the top immigration attorneys in the country on Three Best Rated. We have over 30 years of experience helping individuals and families to achieve their American Dream from countries all over the world. Our experienced staff clients to become permanent residents and citizens of the United States. We are well versed in many languages, including Spanish, Russian, Tagalog, Mandarin, Korean, Armenian and Taiwanese. Whether you need help for Immigration Court, investment visas, citizenship, employment visas or family immigration. With the help of an immigration lawyer near me, I was able to avoid deportation and get a green card to stay in the United States. – Ms. Ramirez, undocumented immigrant from Honduras. We’ve received hundreds of 5 star reviews just like hers across the internet for providing clients with personalized, individual support. Legal issues around US immigration law can be overwhelming. There are often difficult and complex problems that arise which need to be resolved with help of a lawyer. The lawyers at our Los Angeles, CA office can bring you peace of mind by helping resolve complex issues surrounding green cards, visas, asylum, marriage, relatives, employment and other complexities. Contact us for advice on how to comply with these laws. Call (213) 388-1821 or (855) 201-6898 toll free. Ms. “Ramirez” is a citizen of Honduras and was undocumented. Ms. "Ramirez" had lived in the United States for almost twenty years and Immigration and Customs Enforcement wanted to deport her to Honduras. 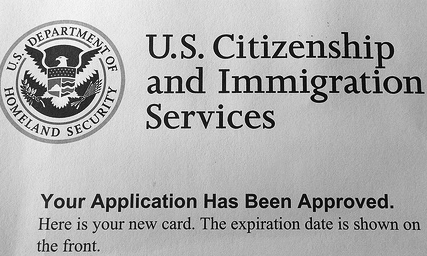 Ms. "Ramirez" received a Green Card and is permitted to remain in the United States legally.